Trendy and solid desk chairs for children, students and adults. A suitable chair for every desk. 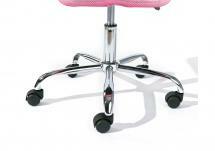 All chairs have a nice design and are height-adjustable. The chairs for children and students are colorful. Those for the adults also have an ergonomic design.